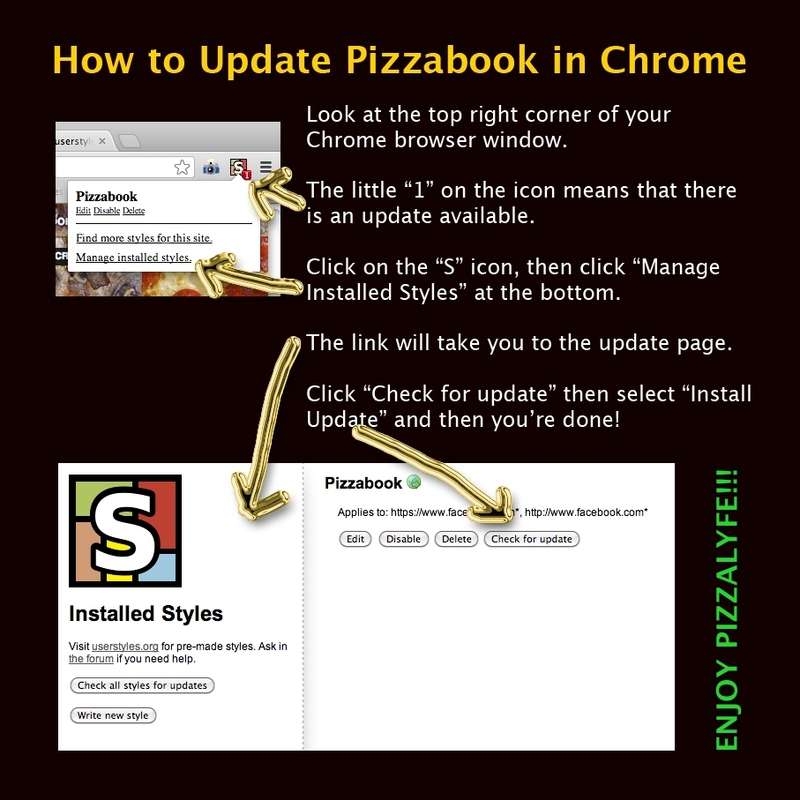 The code for Pizzabook gets updated from time to time, so it is good to know how to update your installation of Pizzabook when it is ready. When you have Stylish and Pizzabook installed, you will see a small “S” icon to the right of your URL bar. If there is a little white number at the bottom of the “S” icon, it means there is an update. To update Pizzabook, click on the Stylish browser bar icon and select “Manage installed styles”, then select “Check for Update” to get the latest version.